Our research studies the impact of information and communication technology in an organizational context. We are interested in the development of the digital organization and the social organization: how do organizations and leaders respond to the challenges and opportunities of an informated society and economy. In particular we look at new modes of organizing, coordination and collaboration from the micro level of work practices, group and community practices to the macro level of infrastructure development. We aim to understand the dynamics of transformation in a historical, societal, regulatory, and economic context. Our work is theoretically and empirically grounded, we employ multiple methods and research approaches with an emphasis on qualitative, interpretative approaches. It is our research philosophy that the implications of integratinginnovative ICT into existing practices and communities need to be studied in situ. We therefore advocate a Living Laboratory approach emphasizes research and experimentation in complex real world settings addressing business or societal innovation. Typically multi stakeholders and researchers from different disciplinary backgrounds are involved. The research group studies ICT enabled networked modes of organizations and organizing. Empirically this covers a diverse range of meso level phenomena such as EDI networks, virtual organizations, electronic markets or Living Labs. We have studied pharmaceutical distribution and the tourism industry extensively. how the proliferation of ICT transforms industry structures and markets. We take an interdisciplinary approach, with a strong social sciences perspective and use mainly qualitative methods of data collection. On the inter-organisational or network level we are dealing with the impact of (new) ICTs on organisational forms (e.g. the proliferation of virtual organisations) and the practices of network and cooperation management. On the business process level we are investigating the potentials and application of novel systems such as real-time collaboration (RTC) systems or Social Software. On the team or group level we are looking into the adoption and appropriation of communication and collaboration infrastructure. On the individual level we are interested in questions of systems acceptance and perception. We apply a broad spectrum of research methods: We have a certain preference for qualitative methods, due to the complexity of the research questions and the nature of constructs we investigate. We often use a practice theoretical lens on information systems and apply methods such as rich semi-structured interviews or user observations. In addition, we have also worked with traditional experimental designs or questionnaire-based surveys. These quantitative methods are applied in areas that are already well understood and are mainly used to collect additional evidence. A major part of our research on communication and collaboration phenomena takes place under the auspices of the Competence Center Smarter Work. 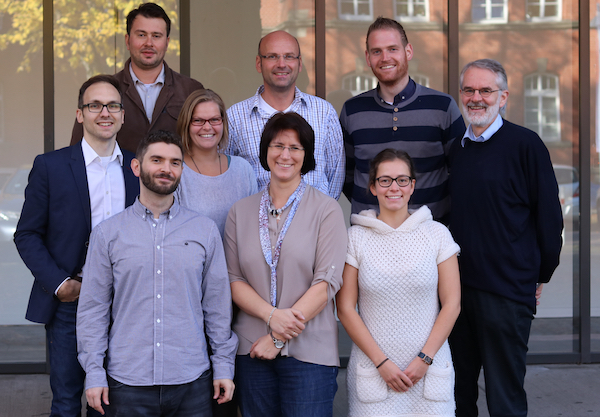 The Research Group on Strategic Information Management (RG SIM) is part of the European Research Center for Information Systems (ERCIS). It comprises a team of researchers particularly interested in how management can make effective use of information and communication technology in order to build the information age organisation. How does the company’s capability to process information and to communicate contribute to business performance? What is the connection between business strategy and information strategy? How to take care of these relations in business and information planning? How to evaluate the benefits of investments in information and communication technology and its application in information and communication systems? How to plan, control and coordinate complex, risky and interdependent IT projects? The Research Group’s objectives are to answer such questions in order to develop recommendations for managers. The recommendations should be theoretically well founded and carefully validated in practice.